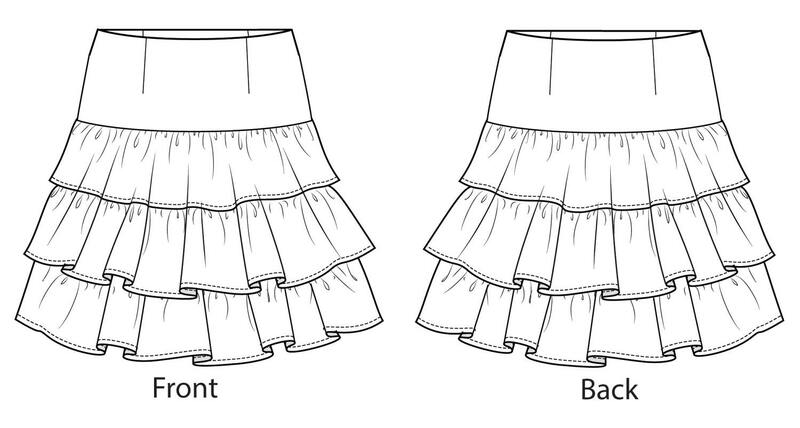 The skirt has three frilled layers and is a tiered skirt. It can be made out of a variety of fabrics, soft and flowing fabrics will give you the look on the left hand side of the picture, where as denser woven fabrics will give you the look of the right hand side of the picture. 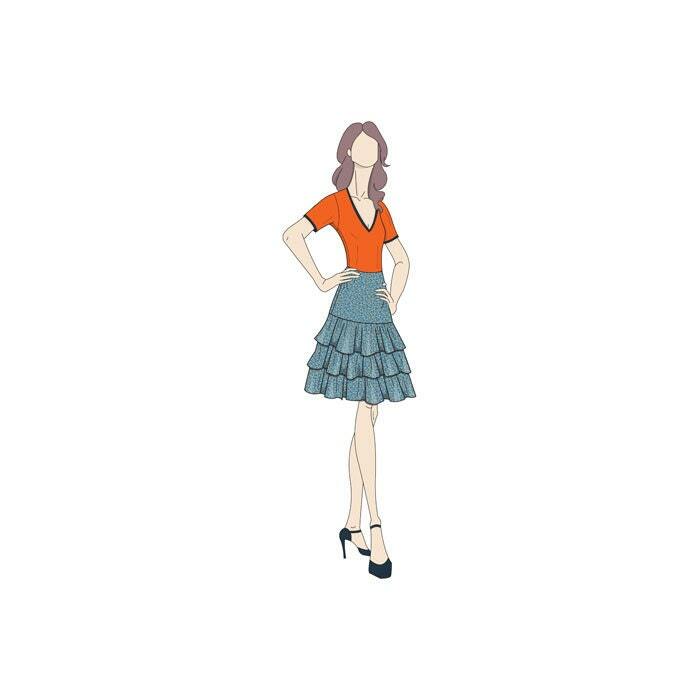 This pattern will require some knowledge of sewing and an understanding of what pattern symbols mean (if you not sure please search on line for pattern symbols or refer to a good sewing book). Please read the instructions for further information on fabric requirements etc.